One decision that is as important as the design of your home is the location you choose to build. If you plan to live in the home as a primary residence, you want to carefully choose where you spend your important off-time. Below are a few considerations to make in finding the perfect building lot. Picking the perfect neighborhood goes beyond the looks of other homes, although that can be key in deciding if you’ll feel comfortable. Young families will have concerns about schools, playgrounds, parks, family entertainment, and shopping centers. The distance required to commute to work might also be a factor in locating a desirable area. Take the opportunity to explore already established housing communities and subdivisions. Many times they have more than one available building lot. Find the one that best suited to your level of privacy, quiet, and space. If you’re looking at property that is near a river or other type of waterfront, have a building expert check into the condition of the soil to make sure it can firmly hold your home. Property that is next to hillsides can also pose a risk of landslides and flash flooding. Never blindly build without consulting professionals about ways to manage drainage and create proper support of your foundation. Is there plenty of room? It’s helpful to have the basics in mind of how big you want to build. Are you looking to add extra structures like a workshop or stand-alone separate garage? Everything you build will take away from the available lawn and landscape. Items like patios and pools will also place hard structures and foundations over a bare property. Is the lot you are looking at big enough to comfortably fit all of your desired structures and still leave elbow room? Areas that are still in the process of improvement might not have all of the basic services ran to your property line. Having to finish the running of water pipes, sewage, and electricity can run into thousands of extra dollars, depending on how far you are from current services. Make sure you have a clear understanding before purchasing a building lot. 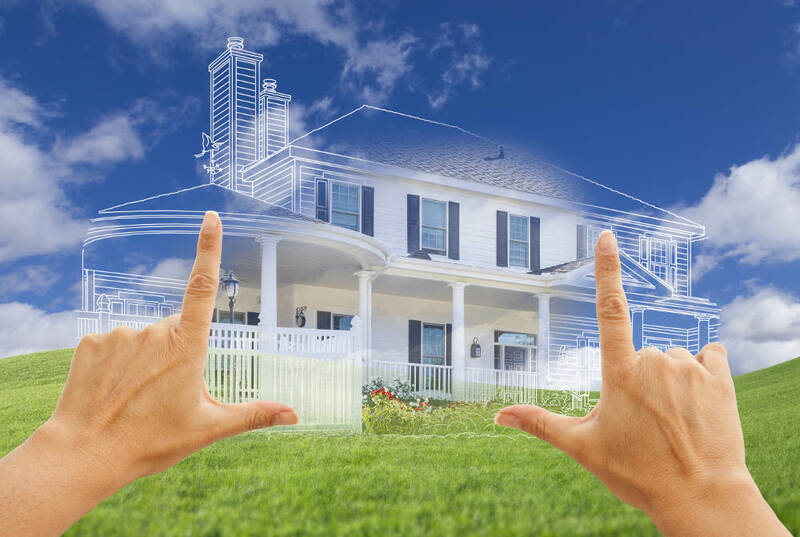 Call us at Murphy Construction to assist in planning the build of your new home. We are here to help from start to finish anywhere in the High Desert region of California.